Dr. Jack Byron and an associate named Gordon Mitchel are in New York to present the research of a man named Sam Rogers to an important CEO, as well as a board of directors. This research may lead the company to fund and sponsor a Borneo expedition, one that involves a flower known as the Blood Orchid. This flower extends the life of humans, but only blooms for a few weeks per seven years. They receive the help they need, but end up being hampered by the rainy season in Borneo. After paying 50,000 dollars to Captain Bill Johnson to navigate and sail to the proper location, they get into a terrible accident near a waterfall. 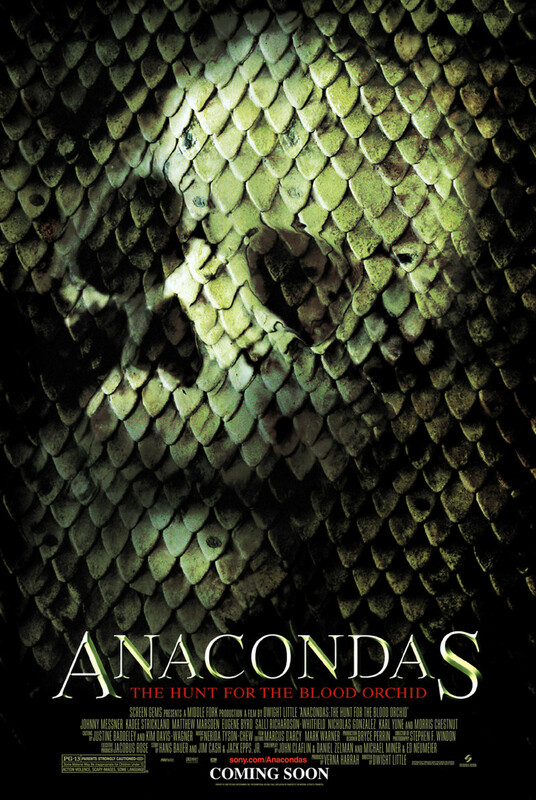 They soon discover that Blood Orchid has increased the size of anacondas in the area, and that they have found them during mating season.